I’ve written books! Here’s a list of my books that are currently available. 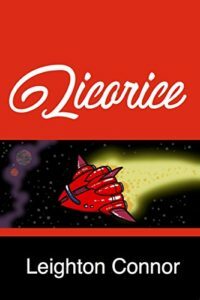 “Licorice” – In a galaxy where eating is outlawed, a lost ship loaded with 900 teragrams of food has limitless value on the black market. Licorice is the only pilot skilled enough to reach this treasure, but to do so she’ll have to navigate the treacherous terrain of zipspace, fight her way through killer robots, and confront the most painful secrets of her past. It will all be worth it, though, if she can achieve her ultimate goal: the legendary taste sensation know as the bacon cheeseburger. Buy it now on Amazon! 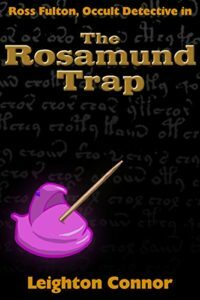 “The Rosamund Trap” – Ten years ago occult detective Ross Fulton won fame as the man who unraveled the mystery of Tesla’s ghost and saved Chillicothe from the Mothman. Eventually, the mind-blasting horrors of the occult became too much to take, so Ross left it behind and began a career in pizza delivery. But now, Ross’s comfortable life of free pizza and video games is interrupted by a man showing up at his door and begging for help. A girl, Rosamund, has gone missing. Tracking her down will leave to shocking revelations, and a confrontation with Ross’s deadliest enemy . . . but first, he’ll need to hit the drive-through for some tacos. This short story is the first of Ross Fulton’s adventures, and is available on the Kindle. Buy it now on Amazon! 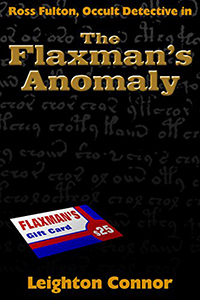 “The Flaxman’s Anomaly” – In his prime, Ross Fulton solved the Case of the Inverted Pyramid and beat an incubus in a knife fight, but those days are long gone. Now Ross is broke and on the verge of eviction. Fortunately, his assistant Ted has found him a case—there’s a ghost haunting the Flaxman’s department store, and the management will pay to get rid of it. They’ll even throw in some nachos. Ross and Ted must navigate the boundary between the living and the dead, figure out why there’s a ghost at Flaxman’s, and, more importantly, convince it to leave. Buy it now on Amazon! It’s so cheap! 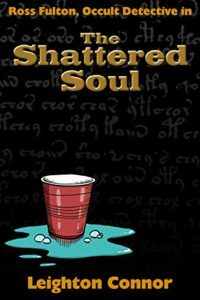 “The Shattered Soul” – People who know Ross Fulton know that he’s the greatest occult detective in all of southern Ohio. They also know that he’s manipulative, egotistical, and frequently belligerent. But Ross hasn’t been himself lately. 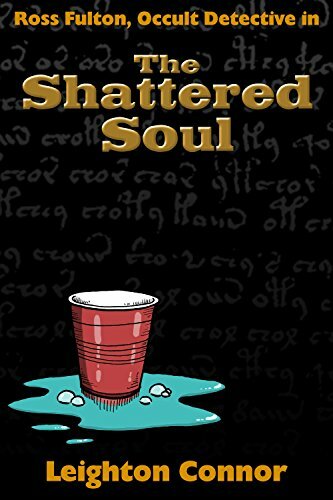 He’s losing his memories and his emotions, and becoming a hollow shell of a man, all because of a supernatural attack that’s causing his soul to collapse in upon itself. Now the only people Ross can turn to are his assistant Ted and his ex-girlfriend Sandra. But are they up to the job of saving Ross? And, really, do they want to? Buy it now on Amazon! You won’t regret it! “The MarmiCon Conundrum” – In his most mind-blowing case yet, occult detective Ross Fulton and his assistant Ted have come to Indianapolis for MarmiCon, the largest gaming convention in the Midwest. Ross and Ted have to track down the elusive Franklin Fletcher, a game designer, con man, and Enochian mage, but they soon learn they’re not the only ones on his trail. Now Ross and Ted must outwit their rival, find Fletcher, and figure out why portals to other worlds are opening up throughout the convention. Plus, there’s the nagging question—what is Gotterdammerung Opus Maximus? Buy it today, you deserve it! 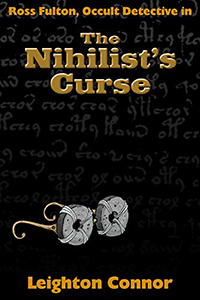 “The Nihilist’s Curse” – A man is dead, murdered by magic. That makes this a case for Ohio’s premier occult detective, Ross Fulton, and his assistant Ted. Ross and Ted soon learn that none of their suspects are entirely innocent–they are all members of an apocalyptic cult, dedicated to summoning their Dark Lord to wipe out life on Earth. As the investigation spirals out of control, Ted must come face-to-face with his maker, and confront difficult questions about morality, death, and the meaning of life. Go ahead and buy it, you’ll be glad you did. 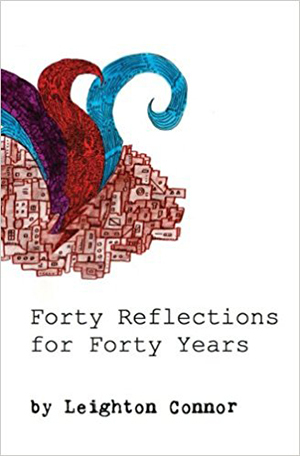 40 Reflections for 40 Years – A micro-memoir, in which I wrote 40 reflections about my life, over the course of 40 days, counting down to my 40th birthday. Order now on Amazon! Pig Palaces & Brisket Barns: A Guide to the Best Barbecue Joints in America (That We Made Up) – You may know all the famous barbecue joints of Kansas City and Memphis, but have you ever visited Amoral Abattoir? Pork By the Pound? UnderArby’s? Have you ever sampled the decadent delicacy known as the Bar-B-Cone? 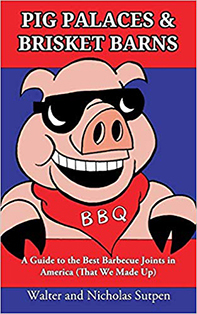 No, you haven’t, because technically they don’t exist; but no matter, because this guidebook will tell you everything you need to know about them, and other absurd, esoteric, and idiosyncratic barbecue joints across this great nation. Steve Johnson (Obscure Early Bluesmen Who Never Existed, So You’ve Decided To Run a Role-Playing Game) and Leighton Connor have joined forces to lovingly craft this travelogue of imaginary barbecue joints that is frequently hilarious, usually dumb, and always entertaining. Why not purchase a copy? Laser Ponies – Feel the Pony Power! On a faraway magical world, in the heart of Glitter Valley, there lives a tribe of beautiful creatures known as the Laser Ponies. These ponies romp, frolic, and play. And, when they need to, they shoot lasers out of their eyes. 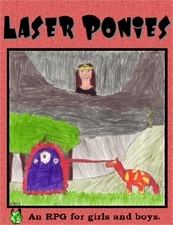 Only the Laser Ponies can defend their valley, and all the creatures in it, from the evil Chasm Queen and her army of monsters. Laser Ponies is the Saturday morning cartoon you always wanted to see, filled with magic, wonder, and adventure, without the cheap animation or commercial breaks. Order now at DrivethruRPG! 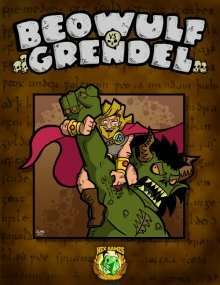 Beowulf Vs. Grendel – The greatest epic in English literature comes to life! For 12 years Grendel, that unhallowed wight, grim and greedy, wrathful and reckless, has rained ceaseless slaughter onto King Hrothgar’s land. Now Beowulf, that mighty man of valor, the prince of the Geats, and the greatest monster-hunter of all time, leads his team of hearty warriors across the sea to defend Hrothgar’s hall from Grendel. But even if Beowulf and his comrades can defeat Grendel, they will find that an even worse horror lies in wait. Order now at DrivethruRPG! GILGAMESH! – Back before the dawn of history, all the world knew the name of Gilgamesh. Gilgamesh, the King of Uruk, two thirds god and one-third man! 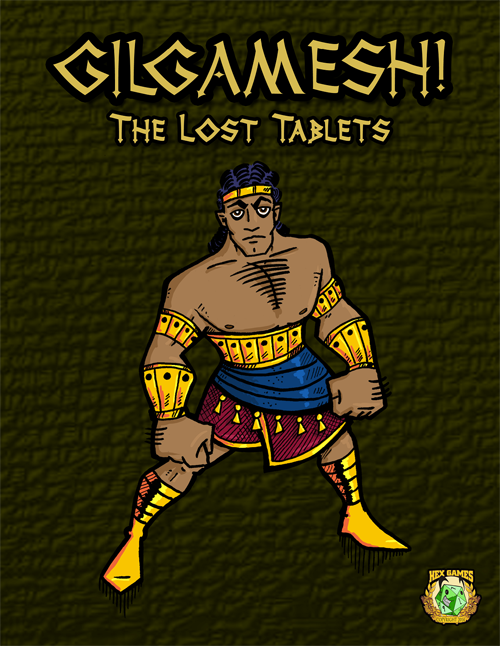 Gilgamesh, the world’s greatest warrior, who slew Humbaba and killed the Bull of Heaven! 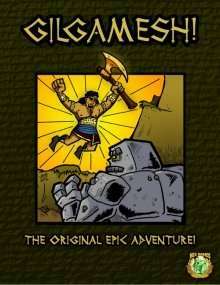 But now Gilgamesh is faced with an opponent that no man has ever defeated—death itself. Join Gilgamesh and his band of mighty heroes as they journey past the edge of the Earth, through the Garden of the Gods, and across the Waters of Death in order to find the secret of eternal life. Order now at DrivethruRPG! GILGAMESH! : The Lost Tablets – Now, for the first time, you can learn how Gilgamesh befriended the wild man Enkidu. Watch as Gilgamesh and Enkidu venture into the Forest of Cedar to battle Humbaba, the most horrible monster in the world! See Gilgamesh and Enkidu defend their city from the Bull of Heaven, and witness the punishment the gods rain down on them! Order now at DrivethruRPG! 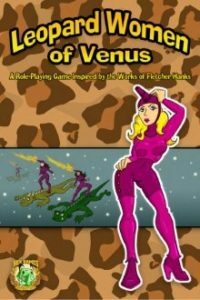 Leopard Women of Venus (co-written with Josh Burnett) – Venus is a hellish nightmare world of hideous monsters and savage barbarians, a world that can only be tamed by the Leopard Women. Armed with comet gun helmets, radium whips, and Flying Saurian mounts, the Leopard Women stand between the human settlers of Venus and total annihilation. Leopard Women of Venus is a mind-melting pulp science fiction role-playing game that gives you the tools you need to recreate the magic and lunacy of a Fletcher Hanks comic with your gaming group. Order now at DrivethruRPG! 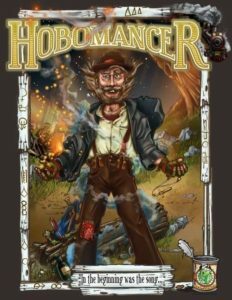 I am also the co-writer of numerous other RPG books, including the ENnie Award-winning Hobomancer, QAGS Second Edition, Weird Times at Charles Fort High, The Book of Dumb Tables, American Artifacts, American Artifacts 2, Qerth: Apprentice Level Rules, Mars and Venus at War, and All-Stars: Vice Squad.